London, ON, – Jessica’s House received more support from the business community today. A $25,000 donation from Nigel Gilby and William Simpson, partners in the London office of Lerners LLP, has been given to support the building project. This gift is in addition to the $100,000 being donated by Lerners LLP that is also being announced today. “Every donation has been important so far in our fundraising campaign. However, as we make our final push to reach our goal, we are especially pleased to have support from leading professionals in our community” said Pat O’Rourke, Chair, South Huron Hospital Foundation. Nigel Gilby and William Simpson both practice civil litigation at Lerners LLP (London) and focus on serious personal injury cases. Together, they have more than fifty years of combined experience acting for a wide-variety of clients across Ontario, including many current and former clients in Huron County. “I have always believed that it is vitally important to give back to the various communities that have supported me in my professional life. I have very close connections within Huron County and am very honoured to be able to support this project. I know that Jessica’s House will be an important and trusted asset in the community” said Nigel Gilby. Gilby and Simpson’s donation to Jessica’s House is in support of the construction of Huron County’s first residential hospice. The Southwest Local Health Integration Network (LHIN), in a capacity report on palliative and hospice care, identified Huron County as having an issue with lack of access to residential hospice beds. With an aging population and a rise in the incidence of advanced illness, residents of Huron County deserve to access support and treatments that will provide them with comfort and dignity at the end of life. In addition, the supportive care centre will offer the community access to resources, medical and emotional support from the time of diagnosis of a life-threatening illness, through the end of life and afterwards. The campaign currently has a $3 million capital campaign underway to build a freestanding in-patient hospice residence and a supportive care centre for residents of Huron County. In one year, the Campaign through the South Huron Hospital Foundation has already raised more than $2 million. The campaign for Jessica’s House continues to appeal to leaders who live and work in our community and beyond to help them reach a target of $3 million. To donate, please visit Jessica’s House Residential Hospice Campaign Ontario on the South Huron Hospital Foundation website. Jessica’s House is Huron County’s first proposed residential hospice created in honour of 22-year-old Jessica Hamather. The plan includes construction of Jessica’s House, a three-bed residential hospice with the capacity to be expanded to six beds and a Centre of Excellence in Palliative Care, situated in the Municipality of South Huron, in the Town of Exeter. Nigel Gilby was called to the Bar in 1980 and is a senior partner at Lerners LLP (London). Recognized by the Law Society of Upper Canada as a Specialist in Civil Litigation, Gilby has a wide-range of litigation experience and has been recognized in the publication Best Lawyers in Canada since its inception. A generous supporter of many community groups, in 2012, Gilby was awarded the Middlesex Law Association award for philanthropy and, in 2014, Gilby was awarded the Lincoln M. Alexander award for philanthropy by the Law Society of Upper Canada. Gilby is a resident of London and Bayfield, Ontario. William Simpson was called to the Bar in 2004 and is a partner at Lerners LLP (London). Recognized by Lexpert as a “Rising Star” in 2012 as one of the top young lawyers in Canada, Simpson, who was trained by Gilby, is presently a member of Lerners’ Executive Committee, which is responsible for managing the firm. Simpson is a resident of North Middlesex, Ontario. Founded in 1929, Lerners LLP is the pre-eminent regional law firm in Ontario. With offices in London and Toronto, Lerners LLP features nearly 120 lawyers practicing in almost all areas of law including: personal injury, business law, matrimonial litigation, commercial litigation and many types of civil litigation. 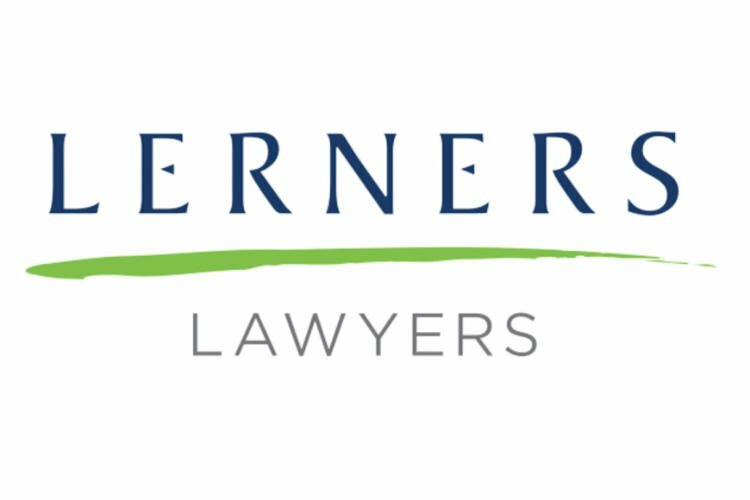 Lerners LLP is dedicated to providing all clients – be they individuals, businesses, institutions or corporations – with exceptional legal counsel.